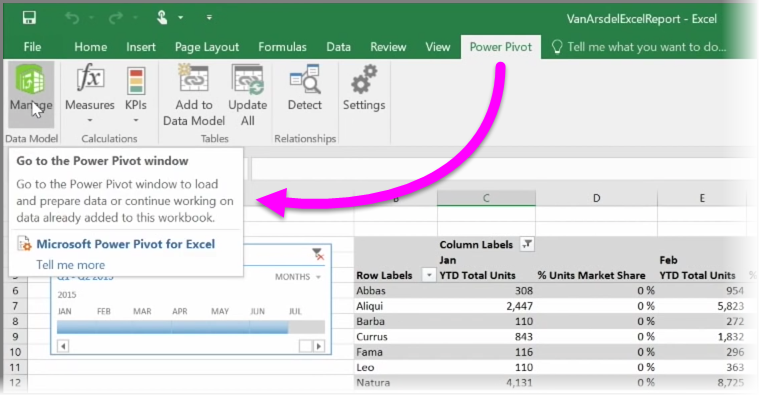 Excel 및 Power BI를 함께 사용하여 강력하고 연결된 보고서와 시각적 개체를 만듭니다.Use Excel and Power BI together and create powerful, connected reports and visuals. Power BI에 대한 단계별 학습 과정의 Power BI 및 Excel 단원을 시작하겠습니다.Welcome to the Power BI and Excel section of the Guided Learning course for Power BI. 이전에 Excel을 사용해 본 적이 있을 것입니다.Chances are good that you've used Excel before. Excel을 사용하여 보고서를 만들거나 본 적이 있든지 아니면 원형 차트나 다른 시각적 개체를 작성해 보았을 것입니다.Maybe you used Excel to create or view reports, or to build pie charts or other visuals. 또는 파워 피벗 또는 파워 쿼리를 사용하여 좀 더 기술적인 솔루션을 작성했을 수도 있을 것입니다.Or maybe you used Power Pivot or Power Query to build solutions that were a bit more technical. 그렇다면 Power BI에서 자유롭게 통합 문서로 작업할 수 있습니다.If so, you'll be right at home in Power BI, and so will your workbooks. 이 단원에서는 Excel 통합 문서를 Power BI로 가져오는 것이 얼마나 쉬운지, 그리고 Power BI와 Excel이 효율적으로 함께 작동하는 과정을 보여 줍니다.This section shows you just how easy it is to bring Excel workbooks into Power BI, and demonstrates that Power BI and Excel make a great partnership. Power BI를 사용하면 Excel 데이터를 Power BI로 쉽게 가져올 수 있습니다.With Power BI, getting your Excel data into Power BI is easy. 다음 항목에서는 간단한 표가 있는 Excel 통합 문서를 Power BI로 업로드하는 과정을 안내합니다.The following topics guide you through uploading an Excel workbook with a simple table into Power BI. 그런 다음 파워 피벗 및 파워 뷰와 같은 Excel의 고급 BI 데이터 모델링 및 보고 기능을 사용하여 만든 통합 문서를 업로드하는 방법을 알아봅니다.Then you see how to upload workbooks created with Excel's more advanced BI data modeling and reporting features, such as Power Pivot and Power View. 또한 비즈니스용 OneDrive에 Excel 통합 문서 파일을 저장할 경우의 이점을 알아봅니다.You'll also learn some benefits of saving your Excel workbook files to OneDrive for Business. Power BI에서 OneDrive의 Excel 파일에 연결한 경우 변경 내용을 적용하고 작업을 저장하면 Power BI의 보고서 및 대시보드가 자동으로 업데이트되고 새로 고쳐집니다.When you connect to Excel files on OneDrive from Power BI, your reports and dashboards in Power BI are updated and refreshed automatically when you make changes and save your work. 이 항목에서는 먼저 로컬 드라이브에서 간단한 표가 포함된 Excel 통합 문서 파일을 Power BI로 가져올 수 있는 방법을 알아봅니다.In this topic, we'll first take a look at how you can import an Excel workbook file containing a simple table from a local drive into Power BI. 그런 다음 보고서를 만들어 Power BI에서 해당 표의 데이터를 탐색하는 방법을 알아봅니다.You'll then learn how you can begin exploring that table's data in Power BI by creating a report. Power BI에서 통합 문서의 데이터를 가져오려면 해당 데이터가 표 형식으로 지정되어야 합니다.In order for Power BI to import data from your workbook, that data needs to be formatted as a table. 이는 간단합니다.It's easy. Excel에서 셀 범위를 강조 표시한 다음 Excel 리본의 삽입 탭에서 표를 클릭합니다.In Excel, you can highlight a range of cells, then on the Insert tab of the Excel ribbon, click Table. 각 열에 적절한 이름이 있어야 합니다.You'll want to make sure each column has a good name. Power BI에서 보고서를 만들 때 원하는 데이터를 보다 쉽게 찾을 수 있습니다.It will make it easier to find the data you want when creating your reports in Power BI. 파일을 보관하는 위치에 상관없이 Power BI를 사용하여 쉽게 가져올 수 있습니다.Wherever you keep your files, Power BI makes it easy to import them. Power BI에서 데이터 가져오기 > 파일 > 로컬 파일을 사용하여 원하는 Excel 파일을 찾아서 선택합니다.In Power BI, you can use Get Data > Files > Local File, to find and select the Excel file we want. Power BI로 가져온 후 보고서 작성을 시작할 수 있습니다.Once imported into Power BI, you can begin creating reports. 파일이 로컬 드라이브에 있지 않아도 됩니다.Your files don't have to be on a local drive, of course. OneDrive 또는 SharePoint 팀 사이트에 파일을 저장하는 것이 더 좋습니다.If you save your files on OneDrive or SharePoint Team Site, that's even better. 여기에 대해서는 이후 항목에서 자세히 살펴보겠습니다.We'll go into more details about that in a later topic. 통합 문서의 데이터를 가져오면 Power BI에 데이터 세트가 생성됩니다.Once your workbook's data has been imported, a dataset is created in Power BI. 이는 데이터 세트 아래에 표시됩니다.It appears under Datasets. 이제 보고서 및 대시보드를 만들어 데이터 탐색을 시작할 수 있습니다.Now you can begin exploring your data by creating reports and dashboards. 데이터 세트 옆의 열기 메뉴 아이콘을 클릭한 다음, 탐색을 클릭하기만 하면 됩니다.Just click on the Open menu icon next to the dataset and then click Explore. 새로운 빈 보고서 캔버스가 나타납니다.A new blank report canvas appears. 오른쪽의 필드 아래에 테이블 및 열이 표시됩니다.Over on the right, under Fields, you'll see your tables and columns. 캔버스에서 새 시각화를 만들 필드를 선택합니다.Just select the fields you want to create a new visualization on the canvas. 시각화 아래에서 시각화 유형을 변경하고 필터 및 기타 속성을 적용할 수 있습니다.You can change the type of visualization and apply filters and other properties under Visualizations. 데이터를 쿼리하고 로드하는 파워 쿼리(Excel 2016에서는 가져오기 및 변환이라고 함), 강력한 데이터 모델을 만드는 파워 피벗, 동적 보고서를 만드는 파워 뷰 등 Excel의 고급 BI 기능을 사용하는 경우 이러한 기능도 Power BI로 가져올 수 있습니다.If you use any of Excel's advanced BI features like Power Query (called Get & Transform in Excel 2016), to query and load data, Power Pivot to create powerful data models, and Power View to create dynamic reports, you can import those into Power BI, too. 파워 피벗을 사용하여 여러 관련 테이블, 측정값, 계산 열 및 계층이 있는 데이터 모델과 같은 고급 데이터 모델을 만든 경우 Power BI는 이러한 데이터 모델도 모두 가져옵니다.If you use Power Pivot to create advanced data models, like those with multiple related tables, measures, calculated columns, and hierarchies, Power BI will import all of that as well. 통합 문서에 파워 뷰 시트가 있는 경우에도 문제 없습니다.If your workbook has Power View sheets, no problem. Power BI에서 이를 새 보고서로 다시 만듭니다.Power BI will re-create them as new Reports in Power BI. 지금 바로 시각화를 대시보드에 고정할 수 있습니다.You can start pinning visualizations to dashboards right away. 이때 Power BI의 뛰어난 기능 중 하나가 있습니다. 파워 쿼리 또는 파워 피벗을 사용하여 외부 데이터 소스에서 데이터를 쿼리하고 로드하는 경우 Power BI로 통합 문서를 가져온 후 예약된 새로 고침을 설정할 수 있습니다.And here's one of the great features of Power BI: If you use Power Query or Power Pivot to connect to, query, and load data from an external data source, once you've imported your workbook into Power BI, you can setup scheduled refresh. 예약된 새로 고침을 사용하면 Power BI에서 통합 문서의 연결 정보를 사용하여 데이터 소스에 직접 연결하고 변경된 데이터를 쿼리 및 로드합니다.By using scheduled refresh, Power BI will use the connection information from your workbook to connect directly to the datasource and query and load any data that has changed. 보고서의 모든 시각화도 자동으로 업데이트됩니다.Any visualizations in reports will automatically be updated, too. OneDrive에 Excel 통합 문서를 저장하면 Power BI와 Excel이 원활하게 통합됩니다.Get seamless integration between Power BI and Excel when you save your Excel workbooks to OneDrive. 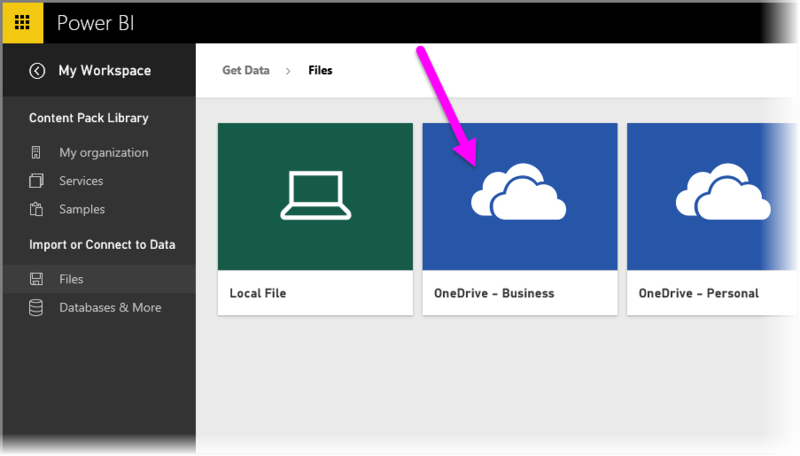 OneDrive는 클라우드에 있으므로 Power BI와 마찬가지로 Power BI와 OneDrive 간에 활성 연결이 설정됩니다.Because OneDrive is in the cloud, just like Power BI, a live connection is made between Power BI and OneDrive. OneDrive에서 통합 문서를 변경한 경우 이러한 변경 내용은 Power BI와 자동으로 동기화 됩니다.If you make changes to your workbook on OneDrive, those changes are automatically synchronized with Power BI. 보고서 및 대시보드의 시각화는 최신 상태로 유지됩니다.Your visualizations in reports and dashboards are kept up-to-date. 통합 문서를 데이터베이스 또는 OData 피드와 같은 외부 데이터 소스에 연결한 경우 Power BI의 새로 고침 예약 기능을 사용하여 업데이트를 확인할 수 있습니다.If your workbook connects to external data sources like a database or an OData feed, you can use Power BI's Schedule refresh features to check for updates. 통합 문서의 데이터에 대한 질문이 있으신가요?Need to ask questions about data in your workbook? 그러나 문제가 되지 않습니다.No problem. Power BI의 Q&A 기능을 사용하여 질문할 수 있습니다.You can use Power BI's Q & A features to do just that. Power BI로 Excel 데이터를 가져오는 경우 통합 문서의 테이블이 Power BI의 새 데이터 세트에 로드됩니다.When you choose to import Excel data into Power BI, table data from your workbook is loaded into a new dataset in Power BI. 통합 문서에 파워 뷰 시트가 있는 경우 해당 시트로 가져오며 Power BI에서 자동으로 새 보고서가 생성됩니다.If you have any Power View sheets in your workbook, those are imported and new reports are automatically created in Power BI, too. Power BI는 비즈니스용 OneDrive의 통합 문서 파일과의 연결을 유지합니다.Power BI will maintain the connection between it and the workbook file on your OneDrive for Business. 통합 문서를 변경한 경우 이를 저장하면 일반적으로 1시간 이내에 해당 변경 내용이 Power BI와 자동으로 동기화*됩니다.If you make any changes to your workbook, when you save, those changes will be automatically synchronized* with Power BI, usually within an hour. 통합 문서를 외부 데이터 원본에 연결한 경우 Power BI의 데이터 세트가 최신 상태로 유지되도록 예약된 새로 고침을 설정할 수 있습니다.If your workbook connects to external data sources, you can setup scheduled refresh so the dataset in Power BI is kept up-to-date. Power BI에서 보고서 및 대시보드의 시각화는 데이터 세트의 데이터를 사용하므로 탐색 시 쿼리가 빠르게 실행됩니다.Because visualizations in reports and dashboard in Power BI will use the data from the dataset, as you explore, your queries are lightning fast. Excel 통합 문서에 연결한 경우 Excel의 통합 문서와 Power BI로 원활하게 작업할 수 있습니다.When you choose to connect to the Excel workbook, you'll get a seamless experience of working with your workbook in Excel and Power BI. 이러한 방식으로 연결하면 통합 문서의 보고서 옆에 작은 Excel 아이콘이 표시됩니다.When you connect this way, the workbook's report has a small Excel icon next to it. 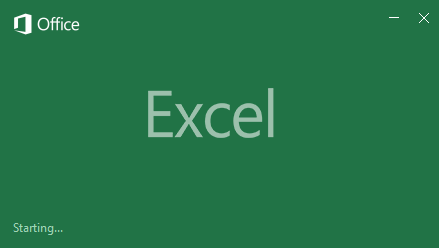 Excel Online에서 보는 것과 마찬가지로 Power BI에서 보고서의 Excel 통합 문서를 볼 수 있습니다.In the report, you see your Excel workbook in Power BI just as you would in Excel Online. 줄임표 메뉴에서 편집을 선택하여 Excel Online에서 워크시트를 탐색하고 편집할 수 있습니다.You can explore and edit your worksheets in Excel Online by selecting Edit from the ellipses menu. 변경한 경우 대시보드에 고정한 모든 시각화가 자동으로 업데이트됩니다.When you make changes, any visualizations you've pinned to dashboards are updated automatically. 데이터 세트는 Power BI에 생성되지 않습니다.No dataset is created in Power BI. 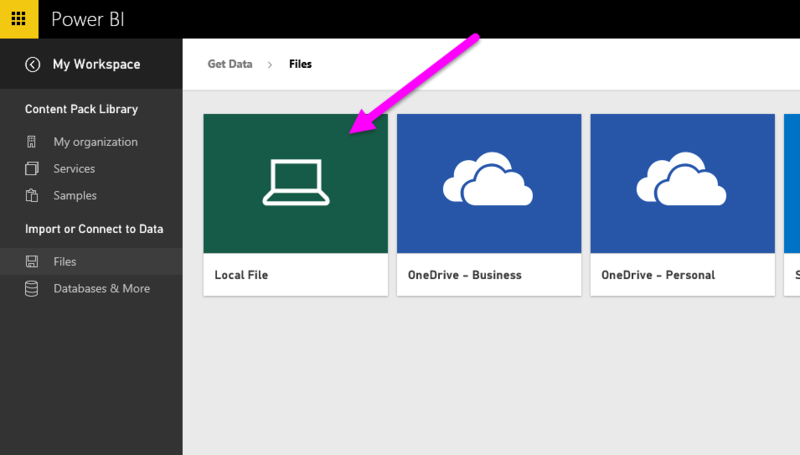 모든 데이터가 OneDrive의 통합 문서에 유지됩니다.All of the data remains in the workbook on OneDrive. 이 접근 방식의 장점 중 하나는 통합 문서가 외부 데이터 소스에 연결된 경우 예약된 새로 고침을 설정할 수 있다는 점입니다.One of the many advantages to this approach is that you can setup scheduled refresh if your workbook connects to external data sources. 피벗 테이블 및 차트와 같은 요소를 선택하여 Power BI의 대시보드에 바로 고정할 수 있습니다.You can select elements such as PivotTables and charts and pin them right to dashboards in Power BI. 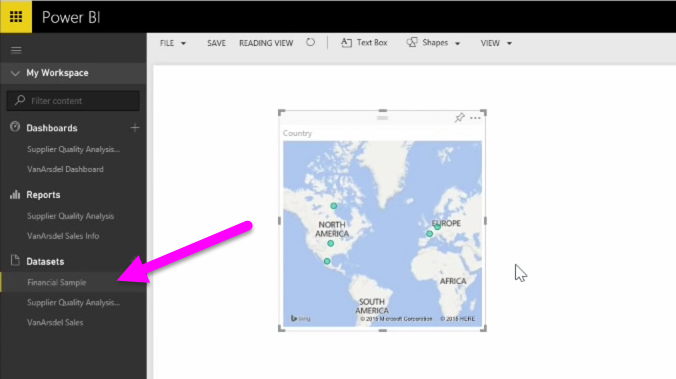 변경한 경우 Power BI에 자동으로 반영됩니다.If you make any changes, they're automatically reflected in Power BI. 또한 Power BI의 놀라운 Q&A 기능을 사용하여 통합 문서의 데이터에 대해 질문할 수 있습니다.And, you can use Power BI's awesome Q & A features to ask questions about the data in your workbook. 이 항목 모음에서는 Power BI에서 업로드 및 탐색하여 기존 Excel 통합 문서 파일을 얼마나 쉽게 활용할 수 있는지 알아보았습니다.In this collection of topics, you learned how easy it is to leverage your existing Excel workbook files by uploading and exploring them in Power BI. 간단한 표가 포함된 Excel 통합 문서 또는 파워 피벗 및 파워 뷰와 같은 Excel의 고급 BI 기능을 사용하여 만든 통합 문서를 업로드할 수 있습니다.You can upload Excel workbooks with simple tables or workbooks created with Excel's more advanced BI features like Power Pivot and Power View. 또한 비즈니스용 OneDrive에 있는 Excel 파일에 연결하고, Power BI의 자동 새로 고침 기능을 사용하여 통합 문서를 변경할 때 보고서 및 대시보드를 최신 상태로 유지하는 방법도 살펴보았습니다.You also learned how to connect to Excel files that reside on OneDrive for Business, and use Power BI's automatic refresh features to keep your reports and dashboards up-to-date as you make changes in your workbook. 축하합니다!Congratulations! Power BI에 대한 단계별 학습 과정의 Power BI 및 Excel 단원을 완료하셨습니다.You've completed the Power BI and Excel section of the Guided Learning course for Power BI. 너무 쉽지 않나요?That was easy, wasn't it? Power BI와 Excel은 멋진 팀이며 손쉽게 함께 사용할 수 있습니다.Power BI and Excel make a great team, and makes it easy for you to use them together. 이제 보고서 및 대시보드에서 멋진 시각적 개체를 만들 수 있으며 많은 지식을 쌓았으므로 작업을 공유할 준비가 완료되었습니다.With all the knowledge you've gained, and your ability to create compelling visuals in reports and dashboards, you're probably ready to share your masterpieces. 다음 단원인 게시 및 공유 단원에서는 이 작업을 수행하는 방법을 보여 줍니다.The next section, Publishing and Sharing, shows you how to do just that. Power BI에 대한 단계별 학습 과정의 Power BI 및 Excel 단원을 마쳤습니다.Nice job completing the Power BI and Excel section of Power BI Guided learning. 다음으로 게시 및 공유에 대해 알아보겠습니다.Next, you learn about publishing and sharing.